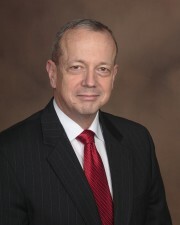 John R. Allen is a retired U.S. Marine Corps four-star general and former commander of the International Security Assistance Force in Afghanistan. Prior to joining Brookings as senior fellow and co-director of the Center for 21st Century Security and Intelligence, Allen served as special presidential envoy to the global coalition to counter ISIL, a position he held for 14 months. Immediately following retirement from the Marine Corps, Allen was the senior advisor to the secretary of defense on Middle East Security, and in that role he led the security dialogue with Israel and the Palestinian Authority for 15 months within the Middle East peace process. Allen commanded the NATO International Security Assistance Force and United States Forces in Afghanistan from July 2011 to February 2013. Allen’s command of the 150,000 U.S. and NATO forces in Afghanistan occurred at a particularly critical period in the war. During his command, he recovered the 33,000 U.S. surge forces, moved the Afghan National Security Forces into the lead for combat operations, and pivoted NATO forces from being a conventional combat force into an advisory command. Further, he established the division size Special Operations Joint Task Force. In the process, his forces closed or realigned over 500 bases and facilities. All of these activities were conducted in contact with the enemy and during active and particularly intense combat operations. During his nearly 38-year military career, Allen served in a variety of command and staff positions in the Marine Corps and the Joint Force. Prior to assuming command of the NATO and U.S. forces in Afghanistan, Allen commanded at every level in the Marine Corps through the Marine Expeditionary Brigade. He served as the G-3 operations officer of the 2nd Marine Division. He was the aide de camp and military secretary to the 31st commandant of the Marine Corps. As a general officer, Allen served as the principal director of Asia-Pacific policy in the Office of the Secretary of Defense, a position he held for nearly three years. In this assignment, he was involved extensively on policy initiatives involving Mongolia, China, Taiwan, and Southeast Asia. He was also involved in the Six Party Talks on the denuclearization of the Korean Peninsula. He played a major role in organizing the relief effort during the South Asian tsunami from 2004 to 2005. Allen’s contingency and combat operations assignments included Operation Sea Signal in the Caribbean in 1994, Operation Joint Endeavor in the Balkans from 1995 to 1996, Operation Iraqi Freedom in Iraq from 2007 to 2008, and Operation Enduring Freedom in Afghanistan from 2011 to 2013. Beyond his operational credentials, Allen has also led a number of professional military educational programs including service as the director of the Marine Infantry Officer Program; commanding officer of the Marine Corps Basic School; and commandant of midshipmen in the United States Naval Academy. He has served as the Marine Corps fellow to the Center for Strategic and International Studies, a commandant of the Marine Corps fellow, and was the first Marine officer to serve as a term member of the Council on Foreign Relations. He remains a permanent and active member of the Council. Allen holds a Bachelor of Science in operations analysis from the U.S. Naval Academy, a master’s degree in national security studies from Georgetown University, a Master of Science in strategic intelligence from the Defense Intelligence College, and a Master of Science in national security strategy from the National Defense University. He is the recipient of multiple US military personal and campaign awards, and is the recipient of numerous international military awards as well.